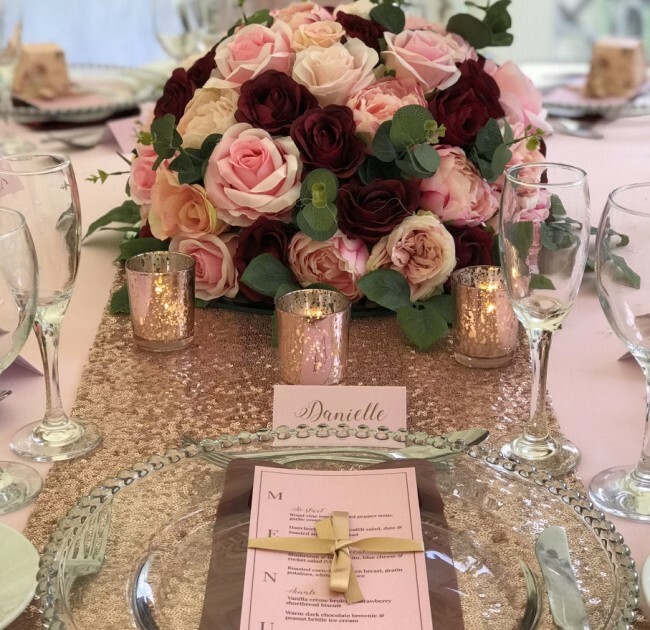 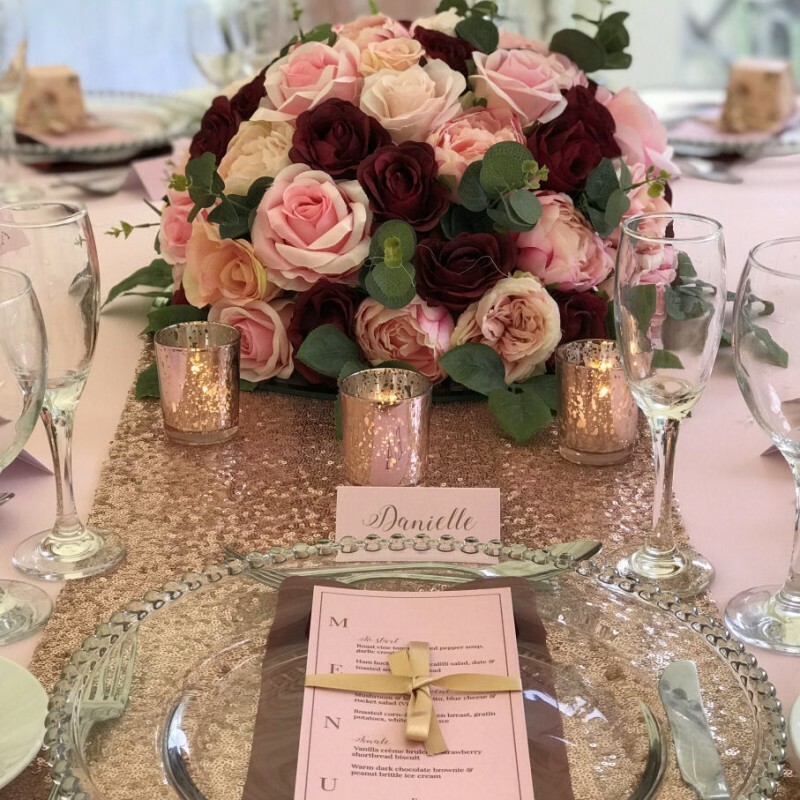 to create the centrepieces of your dreams. 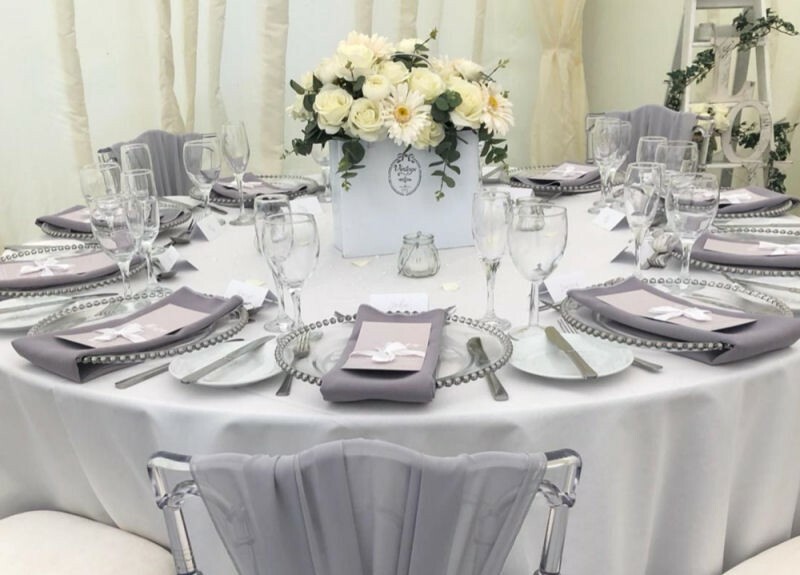 Finish off your table settings with a gorgeous charger plate and crisp linen available in many colours. 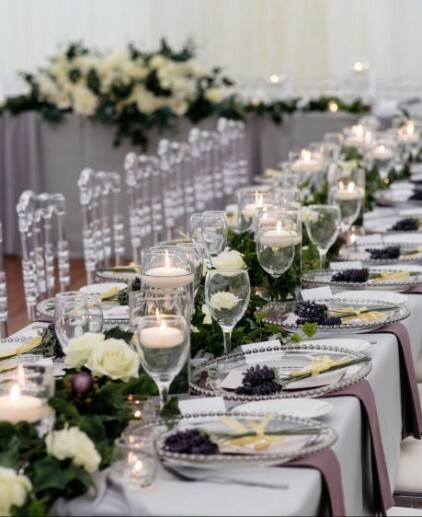 We love this style of table setting. 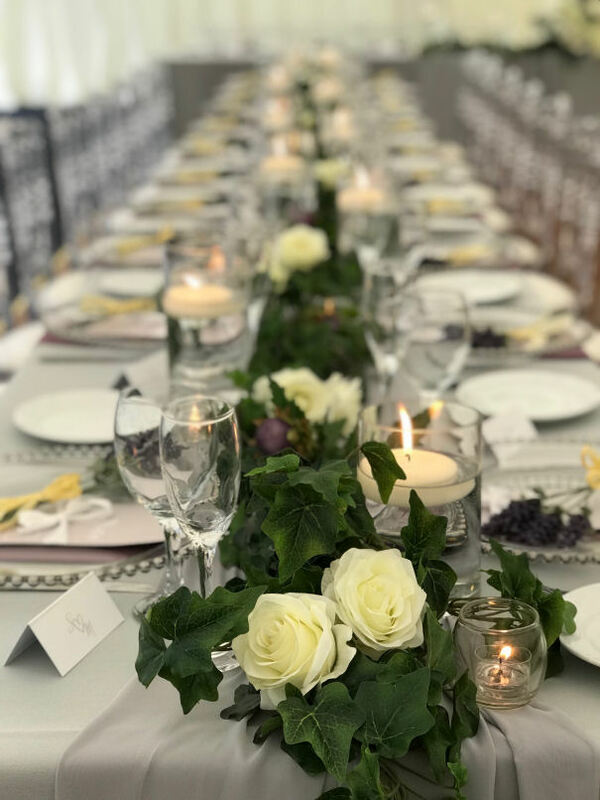 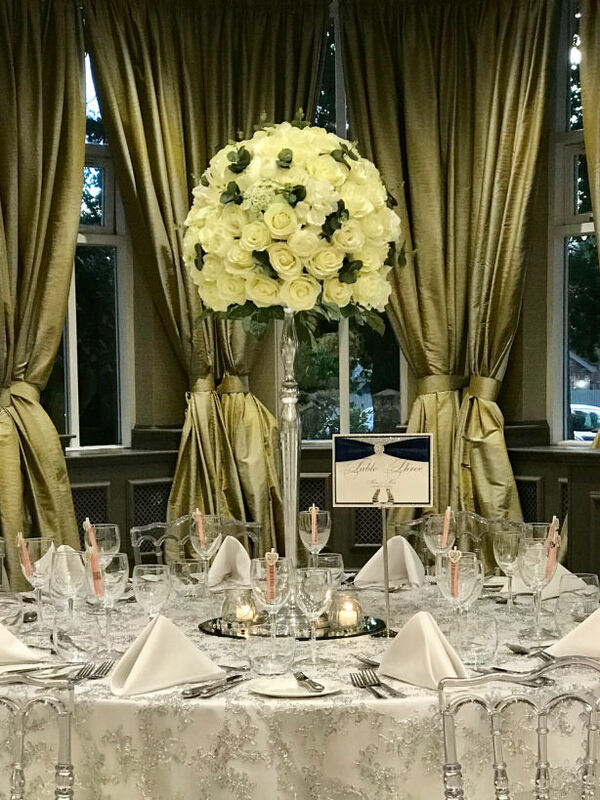 Let us create a relaxed atmosphere with greenery and candles or add our tall centrepieces to add that touch of elegance. 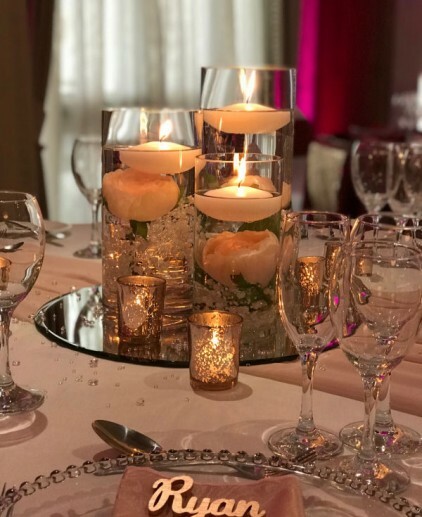 Our floating candles create a relaxed atmosphere and beautiful look to your guest tables and room decor. 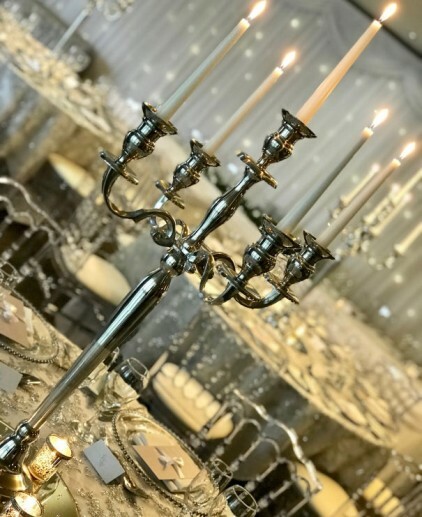 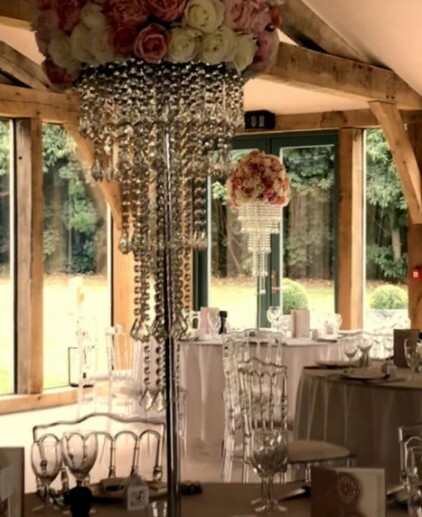 Wow your guests with our large chandelier centrepieces which look spectacular and create that touch of luxury.